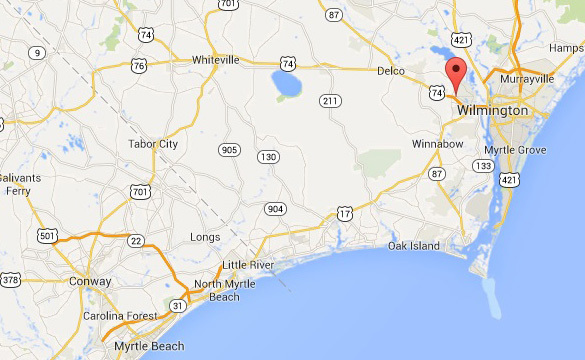 We recently posted a story about UFO sightings from the North Carolina beaches near the town of Wilmington. We received many responses from others in the area who also had sightings. However, one of the most spectacular cases we received is this one from Leland, North Carolina, which is on the northwest side of Wilmington. He stresses that he, the director of North Carolina MUFON Lakita Adams, and the witness, all feel that the UFO is most likely some sort of advanced military aircraft with a cloaking device. According to the investigation report filed by Bates, the witness has been in the military or a military contractor for the last 24 years. Currently he is an instructor for close quarters combat. The witness, who shall remain anonymous, says he was out trying to get a look at the moon with his telescope when the event took place. 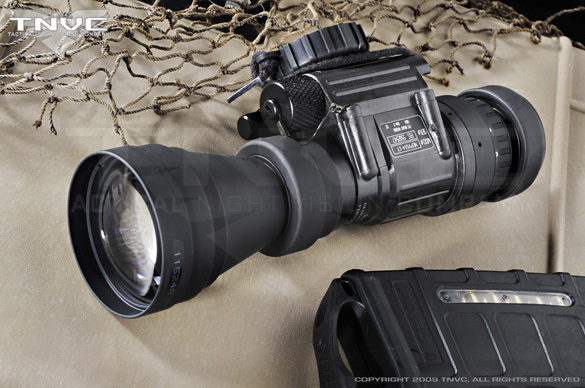 He wrote, ” It was, I believe, the night after the full moon in May.” He says he always has his night vision goggle with him, and that night he had a PVS-14 night vision monocular with a 3x magnifier on a tripod attached to a video camera, and a pair of PVS-7D goggles around his neck. While scanning the night sky with his goggles he spotted what he thought to be a plane coming towards him from the north. It was heading south. 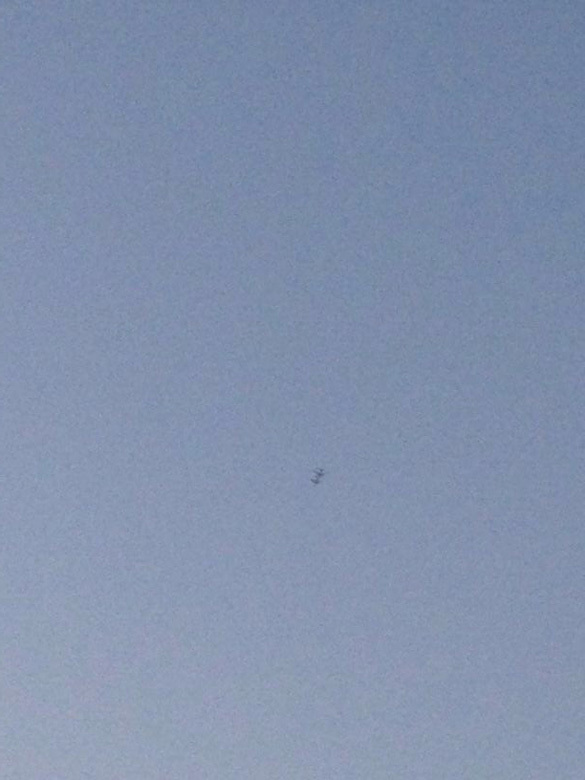 He says he estimated the object was at about 5000 feet, which is relatively low. He says he is a skydiver and long distance shooter, so he feels he is a good judge of distances. He thought it was odd that he was not hearing anything, so he started to record the object. He first caught the object on video when it was at about a 75 degree angle, and was amazed that as it passed over he still could hear no sound. He was further astounded when he noticed through the monocular that as it passed by stars he could see the stars through the craft. You can read the entire text of his report here. 1. On two occasions it appears that the craft flies in front of celestial objects but they can be “seen” THROUGH the body of the craft. 2. The witness states the craft was visible only though NV/IR device. Upon review of the video, the object does seem to be directly overhead, and although you can hear the witness messing with his equipment and whispering to himself in amazement, there is no aircraft noise. As Bates and the witness have stated, as the craft flies in front of stars the stars remain visible. The witness says the craft was triangular shaped, and if that is the case, the stars being seen through the craft would be very strange. However, if the craft is shaped like a normal airplane or a helicopter, where we expect there to be structure, there may not be. Then again, watching the video with this frame of mind, I looked for a flicker as a wing or skinny bit of fuselage passed in front of the stars. I see no such flicker. The stars seem to be consistent in luminosity. While the technology used to make the light visible to night vision equipment and not to the naked eyes is nothing extraordinary, when it comes to running in complete silence, and using cloaking devices, well, that is straight out of Science Fiction. It has been suggested that the stars appearing to be seen through the craft might be an illusion caused by the night vision optics. Perhaps that is the case. I have reached out to experts on that topic and will update you with their responses. In the interest of getting this story out to you all I am not waiting before I post this, but be sure to check back for updates. Many of these UFO stories are ever evolving, just like the earlier North Carolina UFO story, which continues to generate responses. If you are a night vision expert, or even a hobbyist, or if you have any input whatsoever, please feel free to respond below. 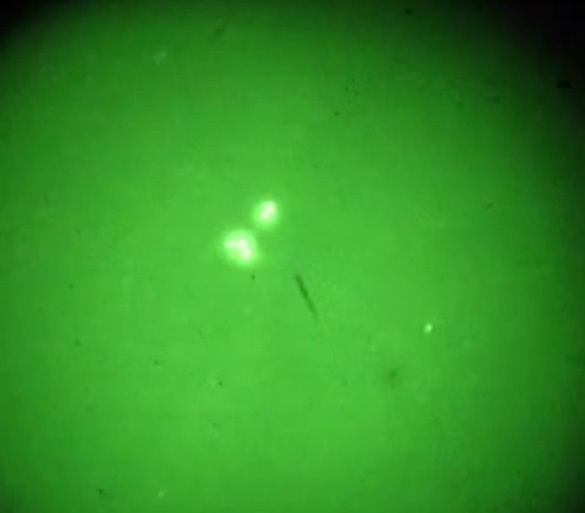 Your help in shedding more light on this mysterious, and fascinating, night vision video is greatly appreciated. For some more insight into what might have been captured in this video, I asked for some input from Marc D’Antonio, the chief photo and video analyst for MUFON. He was able to take a picture. 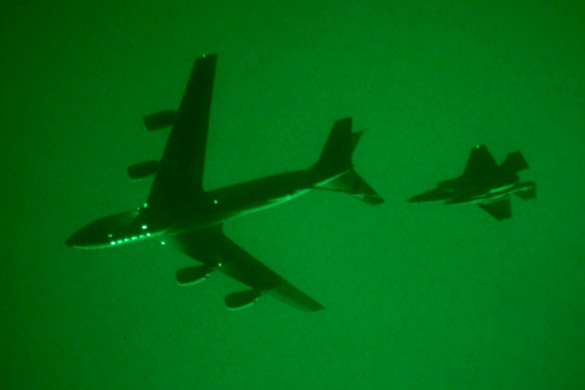 D’Antonio feels that this video from North Carolina is a similar refueling operation. However, it is caught at night. He says there was no sound because the aircraft are at about 25,000 feet. He says he also did not hear the aircraft when he witnessed the refueling operation. I also reached out to Ben Hansen, host of the television show Fact or Faked. 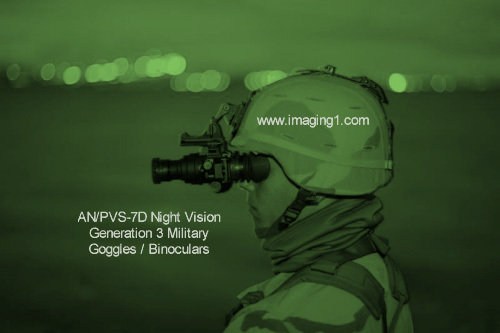 He is very familiar with night vision, and sells night vision equipment similar to that used to capture the video ib his website NightVisionOps.com. Hansen says he disagrees with D’Antonio’s analysis. Hansen notes that in the video the craft appears to do a 180 degree turn. He says refueling aircraft would not be able to do that, and aircraft that large take a much longer time to turn than what is shown in the video. D’Antonio believes that the aircraft itself did not turn, but that the man taking the video moved the camera to keep the object in frame, making it appear as though the craft turned. 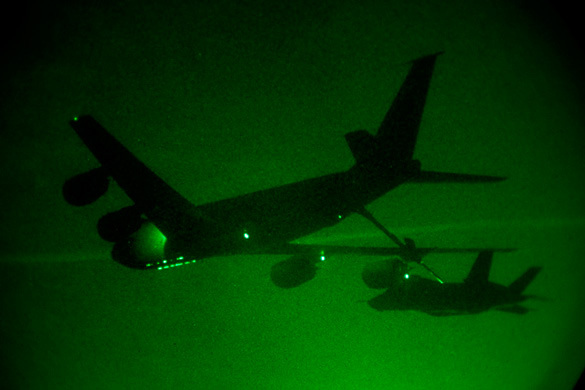 The Aviation Warning Lights should be enough to realise this is terrestrial , and most likely USAF. i have seen a flying triangle very close about 100 feet above me silent and it moved away and then unreal speed, the video at the top of this page is a no ufo its pleane it has a flashing light on it, only aircraft have these, they are truing lights. This sounds very much like what my husband & I saw about 14yrs ago from our back yard in Adelaide, South Australia. It was late at night, & I went out back to have a cigarette & my hubby joined me shortly after. I sat just outside our back door, on a chair ,under the eave & was looking up at the night sky & the stars, when I noticed a section of the sky didn’t look right – there was a triangular section of the night sky that was moving. It wasn’t speeding across the sky, just steadily moving & there was no sound. I pointed it out to my husband & we continued to watch it for a little while, until my initial awe & disbelief turned to fear & we hightailed it inside. Whatever it was, it obviously didn’t want to be seen as it had camouflaged itself to look like the night sky, stars & all. Because of the camouflage I felt (& still feel like) we saw something we weren’t meant to. My hubby & I periodically talk about “that thing we saw in the sky”, like we did tonight, so I decided to google a description of what we saw that night & came across the above report & the description resonated with me – triangular in shape, made no sound, was moving slowly but steadily, was camouflaged but may even have been transparent. Sounds very much like what we saw. It was the mid 1970s while stationed on an atoll in the pacific where 50 nukes were tested – late one night after a few brews (one or two – not kegs – we were limited by our commnd) we were out enjoying the stars, several of us saw a huge triangle shaped craft (more like a boomerang) that was totally silent, cruise over the lagoon – had to be the same type of craft as the Phoenix Lights in 1997. It had to be half a mile across, and was slowly moving over our island into the lagoon. Needless to say we were FREAKED OUT. This atoll was the far western end of the Pacific Missile Test Range where rockets shots came from Vandenberg AFB were aimed for testing accuracy. No noise at all, and it was partially translucent… you could dimly see stars through it. Technology we (humans) did not posses at that time, we were sure of that. It was a very soul-searching experience for all of us. It was perfectly visible and there was NO doubt that it was very real. Everyone of us (a dozen or so) agreed we should never speak of it for the sake of our careers since others had been labeled as lunatics reporting such things. THEY EXIST – I ASSURE YOU THEY DO. If you ever see one like this, YOU WILL KNOW.